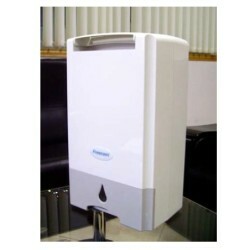 Manufacturer of High Quality Portable Air Conditioners and Dehumidifiers. OEM and ODM Are Welcome. *Completely environmental-friendly. Without Compressor and Refrigerant. *Low temperature operation, from 1℃-40℃. *Superior dehumidification performance under low temperature. *Automatically sensing environment to adjust the most comfortable humidity. *Dry laundry at “Powerful mode”.